Descend into horror with witches, vampires, haunted houses, and murderous blood copies. Check out excerpts from four short works that will be going bump in the night in Fall 2017. 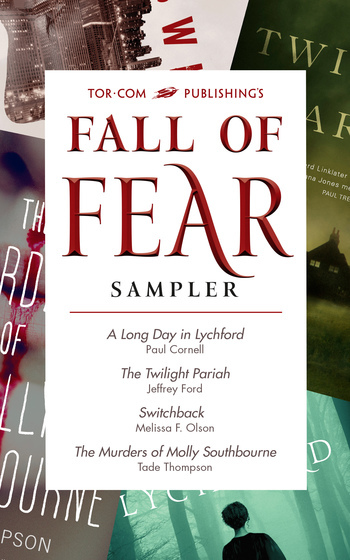 A Long Day in Lychford by Paul Cornell, The Twilight Pariah by Jeffrey Ford, Switchback by Melissa F. Olson, and The Murders of Molly Southbourne by Tade Thompson.